Want your motor to have no tricks, just treats this Hallowe’en? This is how you can – with Trust My Garage! Something dark is just around the corner – it’s Hallowe’en across the world! For drivers in the UK this Samhain, it’s best to make sure your vehicle is running smoothly before the dark nights and cold mornings creep into view. With these handy ‘tricks’ from Trust My Garage your motor should be running like a ‘treat’ all through the Winter! While we know how nice it is to drive in the light summer evenings, it isn’t that way all year round! It’s important for drivers to take it steady when driving in the dark – especially if you’re driving in an unfamiliar area. Be sure to take the time to check all the lights on your vehicle before setting off on a trip, as nobody wants to be caught out in the dark. If you need help with checking a light you can’t see, you can ask a friend or family member to help. Broken lights can result in a £50 fine, three penalty points and even a Roadside Prohibition Notice – which means you must fix the fault before a re-inspection. If you’re new to driving it may be worth practicing your evening driving in a familiar area before heading off on a trip – getting hours of practice under your belt may help with your confidence and help you get used to driving in poor lighting! With poorer conditions on their way it’s important to ensure your tyres are up to the challenge – so be sure check your tyre pressures and tread depth regularly. The legal minimum for tread depth is 1.6mm, but tyre grip can deteriorate rapidly if the depth is under 3mm. You can use the edge of a 20p piece to check how deep your tread is – if the outer band of the coin is visible, then your tyres may be illegal and unsafe and should be checked immediately by a qualified tyre professional. Illegal tyres can earn you three penalty points and a fine of up to £2,500 per tyre! For checking your tyre pressures, your vehicle’s Owner’s Manual should contain the information you need for your tyre to be inflated to the correct PSI/BAR. Air and water machines are commonplace at petrol stations across the UK – or you can ask your local garage to check your pressure is correct if you’re unsure how to do it yourself. Under-inflated tyres affect handling and grip, potentially causing irregular or unpredictable vehicle behaviour. They are also much more likely to suffer from a dangerous sudden rapid deflation, especially on high-speed motorway journeys. The turn of the seasons brings a scary array of weather conditions, all of which can affect how you drive. Low Winter sun can dazzle unprepared drivers, and heavy rain and fog can create slippery roads that affect how you handle your vehicle. To combat the sun, keep a spare pair of sunglasses in your vehicle, and if it has a sun visor ensure it blocks the sun from your view while in your driving position. In wet conditions allow additional travel time and keep speeds steady – with plenty of time for slow braking as braking distances double when wet and increase ten times on ice! Remember, if you want to take your car for a check-up to get ready for autumn and winter driving, you can use Trust My Garage’s handy Find a Garage map to locate a reputable independent garage that follows the Chartered Trading Standards Institute (CTSI) approved Trust My Garage Code of Practice to get the best possible service for both you and your vehicle. Trust My Garage truly is the independent scheme for independent garages in the UK. They have no hidden agenda or commercial influences, which means they really do exist to ensure that independent garage standards are continuing to improve. The Sun is shining, the sky is clear and the roads are open! It’s nearly summertime here in the UK, so what can you do to help your car and driving be at their best? We’ve arranged some top tips to combat the summer sun, with some help from The Highway Code, so take a look and see how you can make the most of driving in the British summer. Keep your vehicle well ventilated to avoid drowsiness. When you get warm, you get sleepy – and that’s not what you want behind the wheel! Your passengers might not like it, but it’s better to be safe and a little bit chilly than be in an accident due to drowsiness. Don’t be afraid to push that A/C button if it’s warm out! Be aware that the road surface may become soft or if it rains after a dry spell it may become slippery. We all know that the British summertime can never happen without a good amount of rain – it’s why we appreciate the sun so much! However, even if you don’t venture out until it’s dry, roads can still hold water and be slippery until much later after a rainy spell. These conditions can affect your steering and braking, so try to be as careful as if it was still chucking it down. If you are dazzled by bright sunlight, slow down and if necessary, stop. Although chasing those hours of sunshine is important, being dazzled by sunlight while driving can cause an accident as many drivers will avert their eyes or squint – impairing their vision. Sun visors and sunglasses can help to remedy this, but if you’re finding it too much it’s ok to pull over and wait a little while until the sun’s position has changed. As well as The Highway Code, we’ve also got some more general tips which may come in handy this summer. Beer Gardens – Don’t be tempted! There’s nothing wrong with enjoying a drink in the sunshine, but if you’re driving, don’t have any alcohol. Many groups now use a prearranged ‘designated driver’, but if you take your car to the pub and decide to drink while there, get a taxi or a lift home – it’s better to be safe than sorry. Don’t leave your pet in your car. Although you can open a window, the temperature inside a car can soar compared to that of the air outside. Animals can become dehyrated and suffer greatly, even if you think they haven’t been there for a long time. Check out the video below to see how being locked in a vehicle on a hot day affects a person – imagine this being your dog! As well as looking after yourself, look after your car! Here’s some handy maintenance info to keep your car in tip-top shape. Check your fluids. Make sure your car’s oil, water and screenwash are at the levels they should be, and that you have plenty of engine coolant – you don’t want to overheat your engine and leave yourself stranded. Maintain your tyres. If you’re doing extra miles to make the most of the summer, that means extra wear and tear. Check your tread depth is above the legal limit of 1.6mm and there aren’t any bald spots, bulges, or tears around the circumference of the tyre or in the tyre walls. If your tyres are looking like this, it might be time for a fresh set! Test your brakes. In the summer there tends to be more people on the road, and that means more hazards. Caravans, cyclists, bikers and horse riders make the most of the nicer weather, so be prepared for the unexpected! Cautious driving might mean an extra 5 minutes to your destination, but it’s much safer for you and other road users. Make sure your brakes are working – if there’s a hazard, you’ll need them! Finally, if you really want to make the most of this summer, then we’ve got one final piece of advice for you – HAVE FUN! Most importantly; get ready to have some fun this summer! Don’t forget that if you want to get your car ready for some summer driving, you can use our handy map to find your local Trust My Garage member, operating under a Chartered Trading Standards Association approved consumer code. They’ll help to ensure your car is safe and ready to hit the road to catch some sun. These days peering under the bonnet can be a daunting task – especially for those used to seeing older engines. 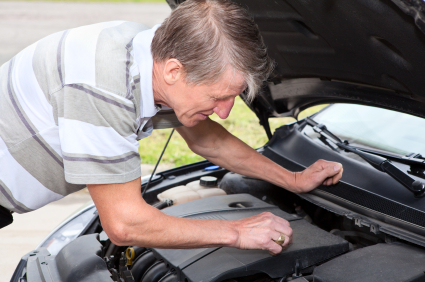 The number of over 50s carrying out basic car maintenance, such as changing the battery, has almost halved over the last five years (17% compared to 10%); instead they are using garages to carry out these basic tasks according to a report from Saga Car Insurance. Technology is the heart of the modern car which means we are now able to enjoy a smoother ride with added luxury. However, a more advanced level of expertise is needed when something needs altering or repairing. 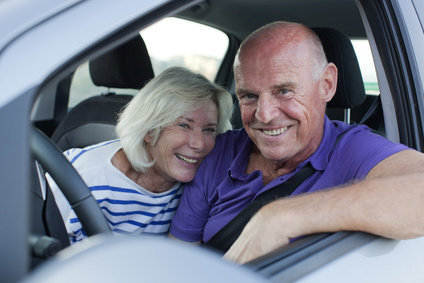 As cars have become more complex, over 50s have become less confident about car maintenance. A history lesson in brief… Back in the 1970s car manufacturers started using electronic equipment to control vehicle functions and systematically regulate vehicle emissions. This subsequently increased the complexity of the vehicle functions, which improved performance, safety, reliability and fuel efficiency. These increasingly complex systems needed to be controlled and gradually the number of “computers” (or ECUs) in the vehicle grew until we have the modern motor car with its own network of interconnected systems. Although the car can even store and report faults, access to this information is unlikely to be available to the home mechanic. These ‘on board diagnostics’, are coded, which means you require the technical expertise of a trained mechanic – who has access to technical data as well as sophisticated and expensive equipment to generate an accurate diagnosis of the car’s problem. What else do the stats say? One in six (16%) men take their car to a garage after failing to make basic repairs themselves. Rather than make a problem worse by taking a DIY approach, use a trusted independent garage that will get it right first time. It’s what they are there for! Whatever the age of your car, using a professional is always the safest bet, even if you think you can do it yourself. Sometimes, the upfront cost savings in DIY repairs can end up costing you much more in larger repair work down the road, or in the loss of insurance coverage because you didn’t go to a professional. Only 2% of women are likely to attempt making repairs to their car compared with 15% of men. Women are making a wise move here. TMG members pride themselves on being ‘female’ friendly, as they try to stub out the old stigma attached to the industry. They explain all their costs in a transparent manner and offer a professional and personal service to everyone. A different report from Saga last month found that over a third of drivers over 50 are also trying to reduce their motoring spend. When it comes to taking your car for a service or repair, using an independent garage is the most cost efficient way to do it. See our very own Infographic (infographic link) highlighting research from the Independent Garage Association (IGA). It shows that by visiting an independent garage you could be spending on average, £40 an hour less than if you visited a main dealer. If you can relate to this post, then make sure you find your most local TMG member to make sure a professional and friendly mechanic is looking at your car and making it roadworthy… first time round! As part of the TRUST MY GARAGE customer charter we make sure all our member garages are trusted to ‘work to high standards, use up to date technical information, techniques and tooling’ and ‘achieve key industry standards set by the RMI.’ This ensures that when a motorist visits one of our members, they always receive the very best service and expertise. There is no better example of a garage that adheres to this requirement than Cleevely Motors Ltd in Cheltenham. The job of a garage technician is more highly skilled now than ever before as technology in motor vehicles continues to advance. In particular, electronic systems on cars are now highly complex, and technicians need to have the requisite skills and knowledge to be able to repair and service a range of different vehicles with different systems. Every year garage technicians from across the country battle it out in a bid to be crowned the UK’s ‘Top Technician’. The competition was born back in 2002 to champion the best technical repairers off the back of national press querying the level of technical knowledge and practical skills needed to ensure you, the motoring public, are kept safe in your vehicles. The Top Technician award recognises the expertise that technicians need in order to keep your vehicle roadworthy, and one Trust My Garage member, Matt Cleevely, manager of Cleevely Motors Ltd in Cheltenham, has just been ranked in the Top 24 technicians across the UK, from over 650 entrants. Matt is the third generation in his family business and is currently working to shape the future of his company to cope with future technological advancements in the motoring industry. Technology affects everything and without continuous professional development it is very easy for knowledge to become outdated. Cleevely Motors is now looking at expanding its extra diagnostic equipment, and will provide further training for its staff to equip them with the skills for dealing with advancing technology in vehicles. Matt’s technical expertise comes from his 16 years experience. He is also an avid reader of motor industry magazines and receives a daily digest of technical bulletins and information from Trust My Garage and the RMI, which also help him to keep up to speed with all industry related matters. With millions of cars in production these days, car technicians are set the incredible challenge of being able to transfer their skills across numerous makes and models, so that when you walk into their garage with a problem, you’ll be able to trust they get it right! We are always ensuring that our member garages are keeping up with current trends and our mechanics constantly improving their existing skills to guarantee the very best service all the time. Do you want to know where your nearest trusted technicians are…? CLICK HERE to enter your postcode and find your local TRUST MY GARAGE member.